This sport of H. 'Fragrant Bouquet' was registered by Jim Hawes of Maryland in 1999. It is a large plant growing to around 22 inches in height with a spread of 44 inches. 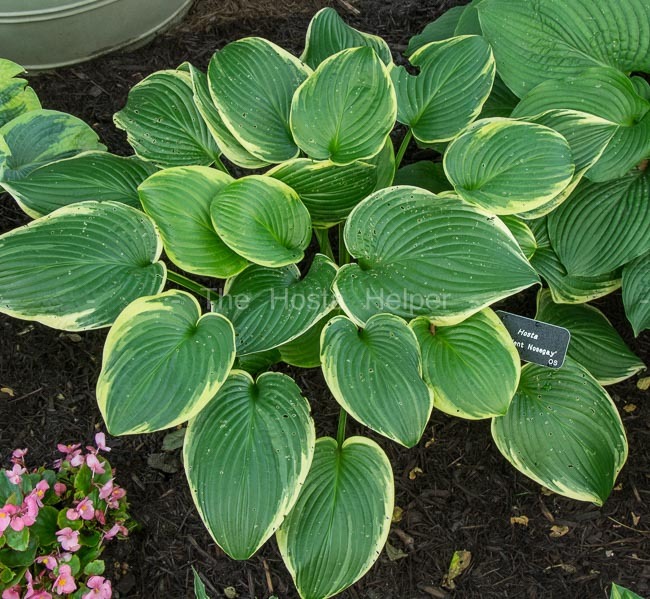 The medium to dark green foliage has yellow to creamy white marginal variegation. It bears fragrant, very pale lavender flowers from mid-August into September.